These documents are designed to provide practical support for anyone assigned to do the actual "project work". However, they are also well suited for improving the organization and implementation of some of the day-to-day routine operations. 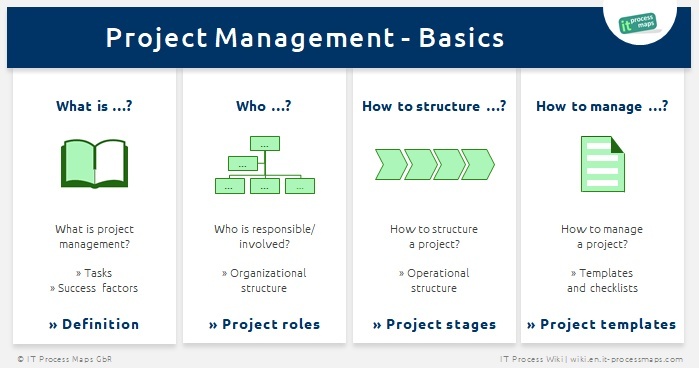 Our ITIL Wiki provides you with the standard terms used in project management, relevant practical notes, as well as forms and checklists to be used in project management.